Amid the oak and linden trees of Charlottenburg, there lies an event space. A marble staircase, a stained-glass backdrop, and, suddenly, an exquisite room of entrepreneurs. 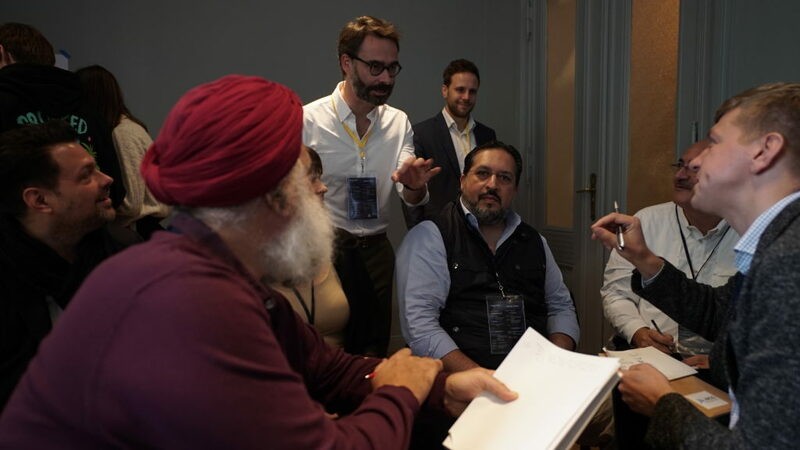 Over 40 Young Presidents’ Organisation (YPO) Members visited Berlin over the weekend to participate in our Transformation Bootcamp. Forty-eight hours of keynote speeches, interactive workshops, shared meals, and traded ideas and experiences ignited connections that will last a lifetime. 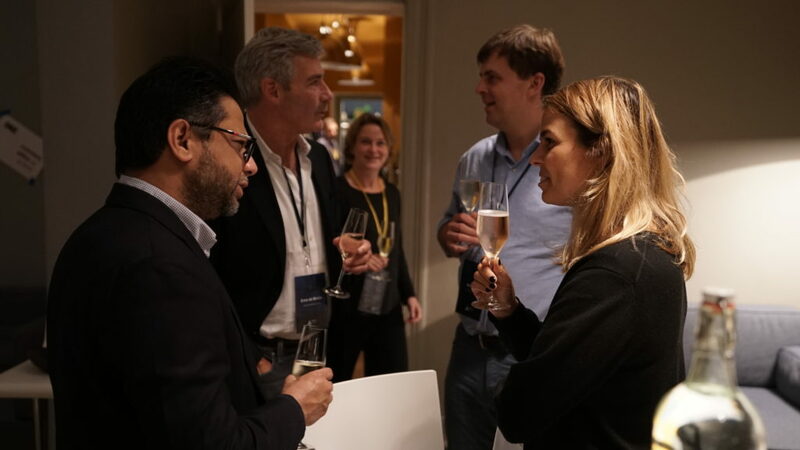 YPO Gold Berlin and Argo Ventures presented an event that went above and beyond expectations. The two-day session opened with a warm welcome by Stefan Beiten and Sascha Grumbach and a nourishing breakfast. 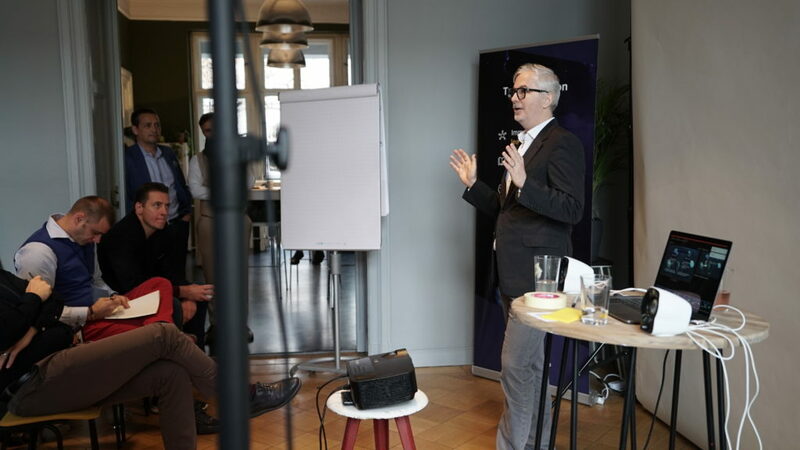 As an invigorating first keynote, Professor Dr. Julian Kawohl, leading professor of strategic digital management at the HTW Berlin, introduced the Ecosystem Strategy Map. Through this, he articulated how corporate officials can use innovative technology to enable disruptive transformation within their existing business structure. Corporate officials, he said, must take initiative immediately in order to keep up with global megatrends. 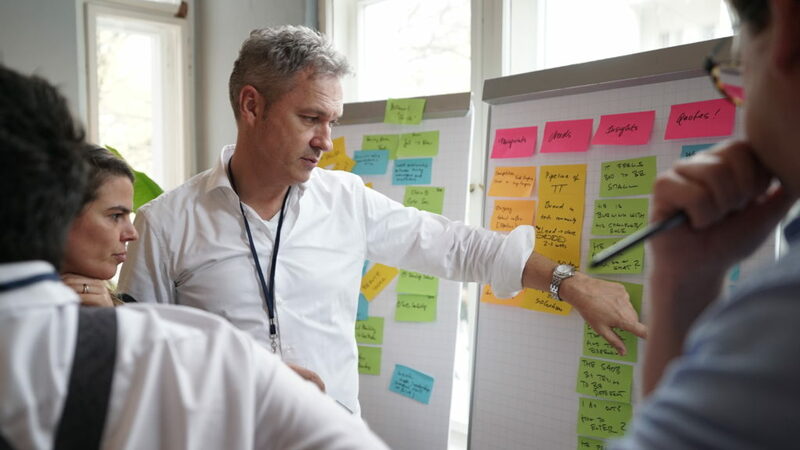 Accelerators, corporate venture units, incubators, partner models, and participation in bootcamps, like the Transformation Bootcamp, were some of Kawohl’s many solutions to this challenge. After an inspiring initial keynote, Nina B. Fischer supplied the participants with a preliminary introduction to Design Thinking. She focused on complexity, spontaneous change, and agility as essential components of a strong company dynamic. Then, participants were divided into seven teams and encouraged to put Fischer’s techniques to practice. A large part of the day was spent in teams, where participants were presented with real-life challenges disseminated by Berlin startups. 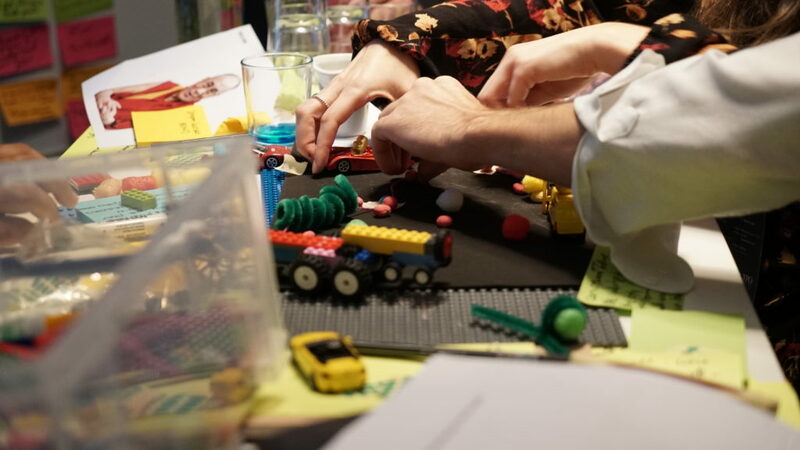 Through Design Thinking, team members brainstormed solutions to the challenge, creating by the end of the day a business model that would provide an innovative solution to the problem. Participants used their expertise to design exciting business solutions. Members received advice from assigned coaches, brainstormed solutions, prepared questions to pose to field experts via a live conference call, and completed a business model canvas to collect their ideas. YPOers even got creative, implementing Legos, putty, yarn, and fabric to visualize their solutions. To supplement their innovative business solution workshops, YPOers attended an afternoon keynote by Kristofer Fichtner. The founder of thermondo provided insights into digitization and its impacts on business models. He stressed the importance of agility in capturing exponential technologies. His words energized the participants to level up the impact of their projects, and to think outside of the box in order to develop their business solutions. Sascha Grumbach followed Fichtner’s keynote. Grumbach emphasised the need of business model innovation. Companies, through the Business Model Canvas he proposed, can escape cutthroat competition by changing the rules of the game in just nine simple steps. After this process, the business models with which the teams were engaged took on a new and stronger structure. At the end of Day One, with guidance from many speakers and coaches, the teams presented their business models. One example of a productive solution to handling business trips was iTravel. iTravel is an AI tool used to book travel arrangements based on the digitised schedules of busy entrepreneurs. After a day of workshops, a day both intense and successful in equal measures, guests attended an extraordinary dinner together. At GRACE Restaurant, inside the Hotel am Zoo, entrepreneurs and Argo team members mingled in a relaxed, warmly-lit room. While having a glass of wine and enjoying a decadent three-course meal, members networked from the burrata through to the classic cheesecake. Dinner guests discussed and chose the winner of the design thinking and business model canvassing challenge they had been faced with during the day. In this relaxed space, participants and organizers alike had the chance to develop further relationships. The second day started strong, retaining the productive spirit of the first day. Christophe Maire of Atlantic Labs presented his insights on the success of Gate5 and Nokia. His presentation gave participants a more incisive sense of how markets can be disrupted by technology, and proposed future implications of this disruption. Following this keynote, participants greeted Dr. Nandu Nandakumar for a video conference. Dr. Nandakumar, CTO at Razorthink and serial entrepreneur, shared career secrets on how to use AI to successfully scale your business. His highly informative keynote introduced how AI works, and presented various use cases to shed light on scaling with artificial intelligence. With the theme of the morning in sight, participants were able to zoom in on business scaling with a riveting keynote by Nikolai Ladanyi. Ladanyi of scale up is an author, entrepreneur, and scale-up coach. His presentation gave interesting insights into the challenges and solutions in scaling a business. Mastering the Rockefeller Habits, he said, leads to astonishing possibilities in terms of scaling. This methodology provided several perspectives to get a better understanding of how and where to start. Following an engaging first keynote, Ladanyi returned after a short break for an enlightening second keynote on the topic of Culture and Team. This second discussion outlined the process of defining the team, culture, and core values within their businesses. His discussion examined methods of personal and professional development that characterise the image of a business. His presentation and integrated approach to the keynote gave the audience many ideas for further improvement in their professional ecosystems. In the final keynote of the bootcamp, Mo Moubarak gave the participants some excellent takeaways under the umbrella of company culture. Moubarak founded MoBerries, an AI-driven SaaS platform. Mo’s candid advice covered how to identify and nourish your unique company culture. His keynote addressed the structure and process necessary to developing and sustaining this culture as you scale. The empowering speech uplifted members and capped off a transformational bootcamp. Kaitlynn Buchbaum is a contributing author, and the Marketing and Community Manager for Argo Ventures. They are interested in the way in which digital innovation can promote social change.